A traditional Lasagna recipe from the Cervasi family. This is a great meal idea for a large group of people, as well as an intimate family dinner. 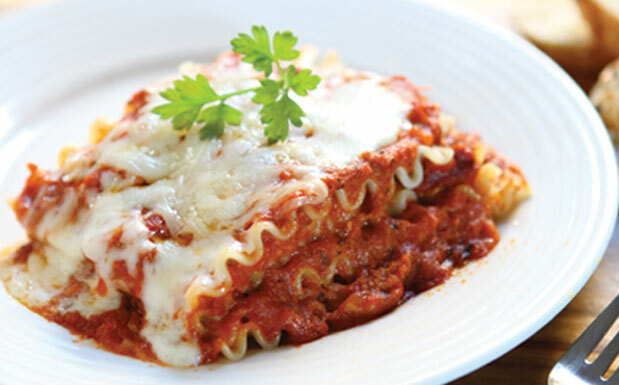 Note: There is no need to pre-cook the lasagna noodles for this recipe. You can use Cervasi Pasta Sauce (cervasi.com/recipe-items/pasta-sauce) or bottled sauce for this recipe. In a bowl, combine cheeses, eggs, parsley and sugar, then set aside. Using a 13x9 pan, begin a layer by spreading sauce on bottom of pan. Dip uncooked Lasagna sheets in sauce; add to pan and then cover with sauce. Add 1/3 of cheese mixture by spoonfuls, no need to spread. Add sauce on top of cheese, then repeat the process two more times ending with a layer of noodles and sauce. Cover with foil. Bake 45 minutes, then check center. Once center is fully cooked (check interior's heat by sticking toothpick in center), remove from oven, uncover and let sit 30 minutes before serving.